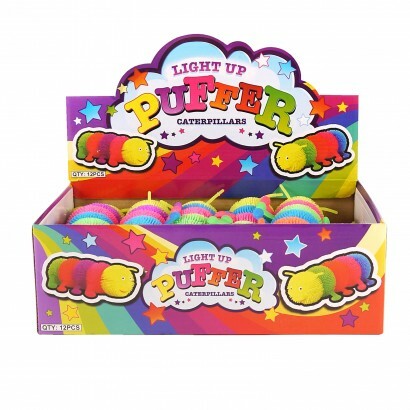 With bright and vibrant neon colours and a tactile rubbery body, these flashing puffer caterpillars are irresistible to kids. 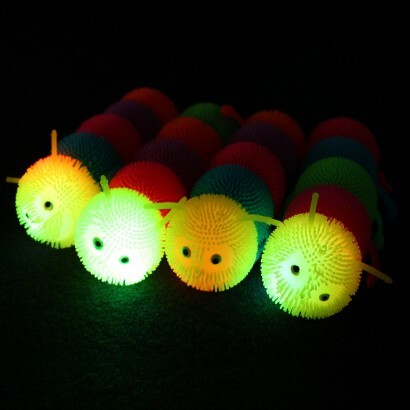 Soft and squidgy with a tactile textured body and legs, this cute character is lit by colourful motion activated LEDs. 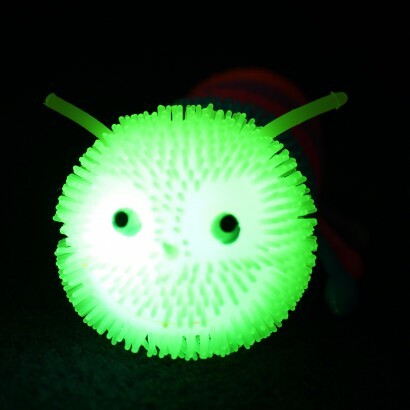 Bounce, squeeze, stretch and light up this fun little caterpillar that feels so soft that you won't want to put him down! I bought this for my 5 year old great nephew who attends a Special school and really likes sensory toys, however I was disappointed that some of the raised bits all over the caterpillar could be pulled off by him the first time he used it.